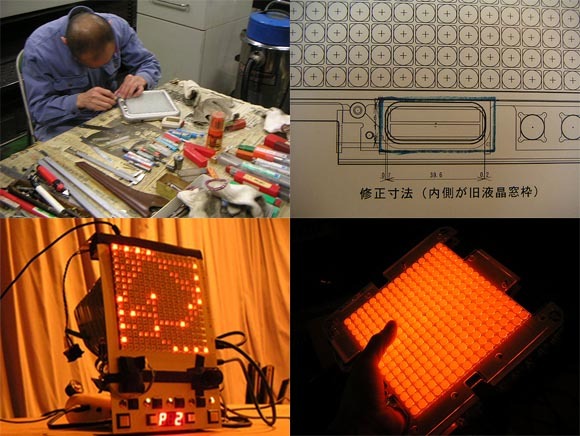 A glimpse into the creation of Tenori-On, Toshio Iwai’s new musical instrument to be produced by Yamaha, from Flickr. Price will be GBP 599 in the initial run. Full production and a price cut are apparently due in the future, full production run, possibly some time next year (this is news). AA batteries are all you need for power. The price is likely to be a disappointment to many who had hoped for a more affordable product. Ironically, despite the Yamaha name, the initial production run is a practically hand-made affair. It sounds as though Yamaha is being rather conservative with this limited run before jumping in. Mind you, we don’t expect official announcements from Yamaha until next week’s launch event, so stay tuned. I doubt any of this will stop people from snapping up the first run, especially if its numbers are as limited as they sound. Update: We’ve heard via a source close to Yamaha that, while larger production runs are possible if this UK test is successful, a price cut is not anticipated. That makes sense, honestly. Anyway, price actually sounds as though it’s not hindering enthusiasm for the device. Those of you who can’t afford this sort of thing (unfortunately, I fall into that category at the moment) nonetheless respect the device for its design ingenuity. Those who can afford it and want it will be standing in line, from what we’ve heard, to grab the first units. Forget about the price for a moment: the best part of this post is the gallery of behind-the-scenes images from the Tenori-On’s design and production. The project remains a DIY affair at this point, and it reveals both the inner life of this instrument, and the potential for other unusual musical creations in the future. 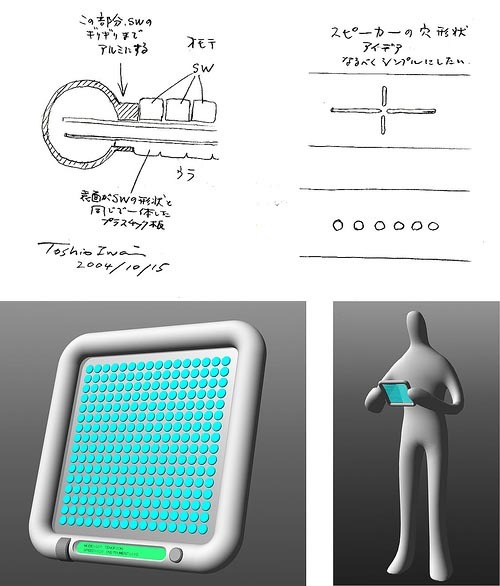 The Flickr set also includes fascinating conceptual diagrams illustrating the Tenori-On concept.